Managing a working Capital incurs some cost. Having Cash sitting idle is a carrying cost. Before setting a WC and Profitability strategy, its critical to calculate the Liquidity risk and Interest Rate risk, and measure the Interest Profit Margin which is the difference between Interest on Loans and Interests on Deposits. Final Project: Analysed a case about Johnes Electric Distribution by evaluating the company operational and financial performance (Financial Ratios). 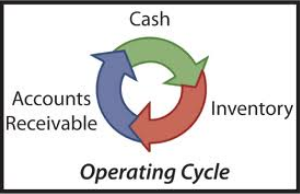 Analysed the operation cycle (Inventory and receivables turnover) and cash cycle and performed a forcasted balance sheet, financial statement and cash flow statements for 3 years. This entry was posted in Working Capital. Bookmark the permalink.